Hi! 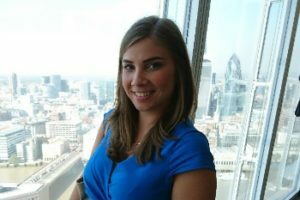 I’m Anna Josko and I am the Events Partnership Director at IDG UK. When did you join IDG? I only started in February so I’m still pretty new! I work across IDG UK’s B2B and B2C brands to create and deliver exciting events for our clients. We have a number of annual events as well as custom offerings, and I work closely with all sponsors to make sure that every event we produce is of the highest quality and meets their expectations. Every event is different from a format and audience perspective, so I work closely with the logistics, marketing and content teams making sure that everything runs smoothly, on schedule and that we are fulfilling promises made to clients. How long have you worked in the events industry for? I have spent my entire career in the events industry starting just after graduation. I have worked for independent events organisers as well as larger media publishers. I spend the majority of my day interacting with clients. This can be new business and new event conversations, current event updates or feedback from previous events via email, phone or face to face meetings. I also take part in a number of daily internal meetings that usually focus on how we can improve what we’re currently doing with our events. Everything I do is to make sure that our customers are happy and come back to us with new event ideas, so about 70% of my job revolves around client interactions. I spend the remaining 30% of my time working with the wider internal events team. What skills are needed in your job? The most important skill is being able to listen! If you really listen to what the customers and your team have to say and show empathy, you are able to make incredible things happen. Good communication with customers and with the team is also crucial; there are so many people involved in the production of one single event it’s imperative that we communicate well with each other so that no information gets lost or misunderstood. Finally, with the number of events and a tight schedule you need to be extremely organised. I find that planning a long time ahead and sticking to a schedule makes executing events much easier. What is the biggest challenge you have faced so far in your new role? The biggest challenge so far has been encouraging colleagues internally to try new things rather than sticking with what already works. However, we have already seen some positives from the small changes and so we are definitely on the right path. Each year we attract the most influential tech buyers and decision makers across every event format – from flagship award ceremonies and conferences to intimate roundtable discussions providing sponsors with the perfect platform for sustainable engagement. No other medium gets you closer to customers, deepens relationships or helps to create new ones like face-to-face events. What events are you currently working on? The CIO Summit is the biggie. We have the CIO Summit coming up on the 20th of September which is CIO UK’s flagship event of the year. The CIO Summit is now running for its 9th consecutive year and is a day event, packed with debates, seminars, workshops and expert panel discussions. We expect around 100 senior IT professionals to attend and it is the perfect arena for sponsors to gain first hand insights into the core business and technology challenges today’s IT leaders are facing. If anyone is interested in finding out more about the CIO Summit and sponsorship opportunities then please feel free to contact me directly. I am also working on a number of custom briefs which will be happening over the coming months. What have you enjoyed the most in your new role? Being able to implement new ideas! Even though it’s not been easy to start with, it’s been great turning things around and seeing the results. I hope that we will continue to make our events better every day. What are the benefits of sponsoring an event? The majority of our sponsors really appreciate the opportunity to meet face to face with relevant customers or decision makers who they wouldn’t be able to meet otherwise. The one-to-one interaction helps them achieve their objectives whether these be product or service related. Every event is also a unique branding opportunity for the sponsors where their company is associated with the particular event topic. Even for well known companies, sponsoring an event helps them create a name recognition within a particular area. Finally, being able to participate in the high quality discussion produced by the IDG editors allows for the sponsors to be seen as thought leaders in a specific area which they might not achieve through other means. How can companies get involved in IDG event sponsorship? Contact me directly and I will be more than happy to help.